Students from throughout New Zealand are set to benefit from today’s opening of the Queen Elizabeth II Pukeahu Education Centre at Pukeahu National War Memorial Park, Paul James Chief Executive of Manatū Taonga said. Exterior of the Pukeahu Education Centre in August 2016. Photo by Mark Tantrum. “The opening of this dedicated education centre means students will be able to learn and do their own research into the impact of war on New Zealand and gain a deeper understanding of this country’s role in peacekeeping activities throughout the world,” Paul James said. “Fitted with Wi-Fi for both staff and visitors and complete with the latest operating systems including touch-screen technology the centre will provide an inter-active environment for student learning. “Students from nearby Mt Cook School, from Wellington High, Wellington College and Baradene College in Auckland have been involved in developing the learning programme and activities. “The centre will complement students’ visits to the National War Memorial and to the Great War Exhibition in the adjacent former Dominion Museum. “Fittingly gifted by the New Zealand Government and named in honour of Queen Elizabeth II to mark her 90th birthday the centre was opened by His Excellency the Governor-General Sir Jerry Mateparae accompanied by the Prime Minister Rt Hon John Key and the Minister for Arts, Culture and Heritage Hon Maggie Barry. 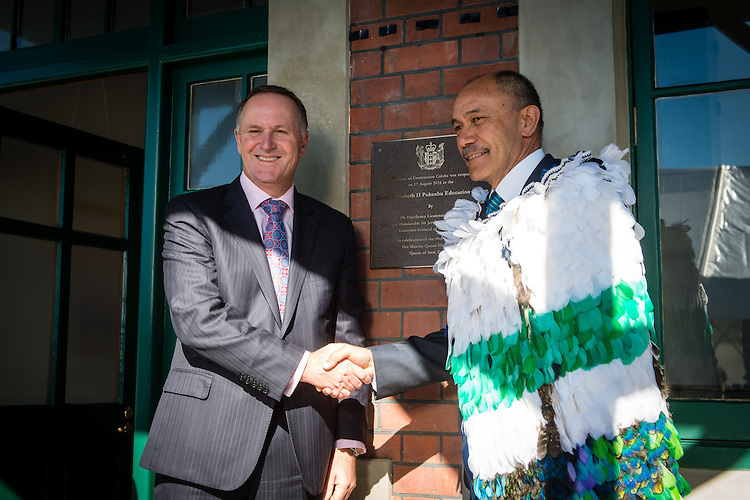 Prime Minister John Key and HE the Governor-General Sir Jerry Mateparae following the opening of the Education Centre. Photo by Mark Tantrum. 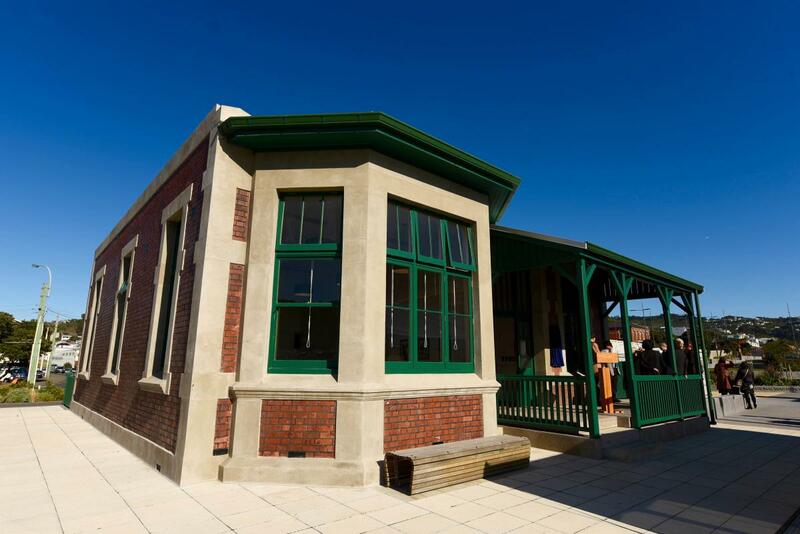 “Situated in the historic former Home of Compassion crèche the education centre will be a valuable asset in the park with more than 12,000 students currently visiting the park annually. “We now have capacity for this number to grow,” Paul James said. Pukeahu National War Memorial Park is administered by the Manatū Taonga, the Ministry for Culture and Heritage.